Who is a French Press for? Have You Tried Making Espresso with a French Press? It’s one of the most popular ways to produce the perfect brew. French presses. Firstly it’s so easy anyone can do it. Secondly it’s an affordable way to get quality coffee. But your equipment always impacts the outcome, right? So if you’re serious about your coffee you need the best French press on the market. We scoured the market for the best ones and your personal preferences will help you pick the perfect one for you. But perhaps you’re looking for a way to put some attitude into your coffee making. Entire set: Special spoon and booklet included. / Four filters to accommodate different grounds. This steel is super easy to clean in the dishwasher or by hand. When it’s time for coffee making the double filters will minimize the amount of sediment that reaches your cup. Dimensions: 7.2" x 4.2" x 8.8"
This steel is super easy to clean in the dishwasher or by hand. Handwash is a better option to minimize the chance of water getting into the exterior chamber. If you prefer French press coffee to machine coffee this is ideal because it will keep it hot for longer even if you don’t have a hot plate. Here’s one more stainless steel French press that will steal your heart. It’s quite large so you can make coffee for 12 people in this VonShef model. The brand includes a unique spoon that doubles as a clip to seal your coffee bag. Your coffee will stay hot relatively long thanks to the high quality stainless steel exterior and the double wall feature. This exterior is super stylish so it can be used in corporate setups where you need to impress your guests. Note: If you need a different size you can look at the brand’s other models as it caters for 3 cup, 6 cup and 8 cup requirements too. This unit is a bit on the heavy side so take care when you pour. Stainless steel is easy to clean and machine washing is an option. Many French press models are only for individuals or small groups. But if you know you often cater for larger parties this 12 cup unit is a practical solution. There’s also the possibility that you want to view the coffee as it brews so you can determine its strength. If this is you, don’t go for this one that blocks your view. Here we have our first glass unit on the list. This makes a substantial amount of brew and is formed in the French press design most coffee lovers know. So what sets it apart? If you want to add some style to your kitchen you can order this in green or red. Alternatively you’ll be impressed by the BPA free plastic handle and the borosilicate glass. The latter is heat resistant which means you can easily place this in your dishwasher. It’s super easy to use and can handle the high temperatures necessary for the best tasting coffee which is usually around 205°F. It has a wire mesh that keeps the grounds separate from the brew after plunging. There’s very little chance of the glass shattering during this process thanks to the flexible spiral around the plunger plate. You simply take the plunger out of the carafe and wash the two units separately. You can wash by hand or place them in the dishwasher. This size carafe is perfect for a coffee loving family or even a small office setup. Because the glass won’t become cloudy you can use this every day. After all, coffee is not only a culinary aspect of life but also a style statement. Because it’s not glass it’s easy to clean because it won’t break during a hand wash. Rinse it out, wipe with a sponge, rinse again and let it dry. If it fits in your dishwasher you can clean it that way too. To clean the filter you don’t have to take the unit apart. You can soak the filter, spring guard and entire plunger in warm water for a while to loosen granules. Rinse and it’s ready to use. If you need your coffee to stay hot for long this will serve you well. You can make one brew that will last you for a huge part of the day without going cold and tasting old. Because it’s BPA free there’s no risk that the heat will cause health risks. The first word that comes to mind when you look at this model is ‘sturdy’. Both the body and the handle are made to last and it’s this brand’s goal to provide you with a French press that will serve you for years. A handy feature is the Cool touch surface. This you’ll find on the handle and the knob so pouring is easy and safe. Your coffee will be hot for around 30 minutes. This isn’t exceptionally long but acceptable for a French press. It does have a double walled design but it’s not sealed or insulated. You can put this in the dishwasher without a concern. It won’t get damaged, not even the plunger. Alternatively a soak and wipe down by hand will also work. No small crevices that are difficult to clean. For deep cleaning you’ll find the filter screen can easily be disassembled so you can wash all components. This is different from other brands that allow cleaning without taking it apart. This makes a substantial amount of coffee so it’s not for home use unless you have a large family. It’s ideal for catering or when friends visit. Use it in the office to make sure everyone can enjoy quality brews. Since it’s so durable it will endure heavy, continuous handling. Here’s your all in on solution: From the French press you’ll use to brew to the unique spoon you’ll stir that delectable cup of coffee with. Be prepared to pay a little more as this gives you a scoop and even an instruction book to help the novice coffee maker. The five year warranty is quite impressive and the glass is reported to be unbreakable. You can use this press no matter the type of grounds you have since it comes with four different types of filter screens. This is easy to wash because it’s durable. A rinse is usually enough with thorough cleaning done once a week if you use the press regularly. It has a large capacity which makes it appropriate for home or office use. If you’re a beginner in coffee making this one purchase will provide you with everything you need. The plastic casing around the glass means there’s more space to hold it which makes for easy pouring and less burning. Pop this in the dishwasher because it’s BPA free and the glass is quite sturdy. At 34oz you can cater for at least a few friends or colleagues. It’s ideal for home but also stylish enough for corporate use. The plastic casing makes it safer to use with children in the vicinity. The entire glass isn’t exposed so there’s less chance of someone burning. You live in a world where everything is getting easier, portable and automated. Luckily that spills over into coffee making because now you can take your French press wherever you go. This KOHIPRESS can make 12oz of coffee. When you’re done plunging the grounds are locked away so it won’t affect your brew. The lid can’t leak which allows you to carry this anywhere. The mesh filter is reusable so you don’t have any maintenance between brews. You can decant it or drink straight from the press. When you’re done with your day’s travels you can throw out the grounds and wash it since it’s made of BPA free plastic. The avid traveler who loves having quality coffee with him or her at all times. Of perhaps you want to take a good brew to the office. This won’t leak or give you coffee with grounds in so your coffee can stay in there until you’re ready to drink it. Here is the ultimate expression of stylish coffee brewing. Why settle for normal stainless steel if you can give black steel a try? You can get 50oz of coffee and it will be held warm thanks to the double wall design. There are multiple filters so no coffee grounds will be left in your brew. Thanks to an ergonomic handle you’ll easily pour for you and your guests without messing. It’s sturdy enough to wash by hand or place in the dishwasher. This is slightly more expensive than your average press so it’s ideal for someone who really appreciates good coffee making. It’s also ideal for families where you don’t want your children burned or cut by breaking carafes. What would the world be without a laugh? Meet R2-D2 the coffee press. You’ll press down on its head to send down the plunger. It can make four cups and the designers didn’t compromise on quality because the glass body is made of durable borosilicate. Be careful not to wash with strong detergents. The decorative stickers may come off. You’ll enjoy this purchase if you’re a Star Wars fan or if your kitchen has a unique décor style. You’ve seen some impressive units but how do you pick? If you haven’t used one of these it’s time to get up to speed because these make really good coffee. The knowledge will also help you pick your model. How do you make coffee at the moment? The popularity of the coffee culture has sparked some creative coffee paraphernalia and even the power of technology can be seen in modern coffee machines. But the French press uses basic methods and can still deliver exceptional brews. It doesn’t require any electricity so you can even do this while camping. French presses are relatively affordable so it’s a perfect way to make quality coffee on a budget. You can make small amounts at a time and you decide how much you want to make. This limits wastage and is ideal for families, couples or singles. The French press process is quite quick since you only wait a few minutes for the coffee to brew. This is preferable to waiting for a large coffee machine to heat up first. You’re placed in the driver seat when you brew with a French press. When you use a machine you must trust it to get the strength just right. With a French press you can easily make adjustments according to your preferences. There are no technological parts that can malfunction, cause safety hazards or frustrate those people who are less technologically inclined than the rest of the world. Best of all is that you don’t have to compromise on quality when you use a French press. If you use quality grounds and water that’s the ideal temperature, your brew will rival the ones you find in your local restaurant. We’ve mentioned how easy French press coffee making is but you’ll be the judge, right? 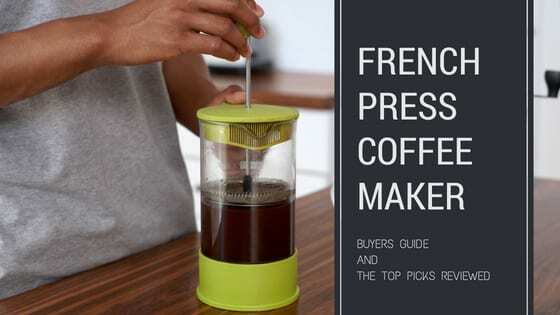 If this seems a bit overwhelming, watch this video to easily get you up to speed on the basics of French Press Coffee Making. Once you’ve seen what it’s about you can easily copy the tactics. Grind your beans so you have fresh grounds to give optimum flavor. Boil water to the optimum temperature of 205°C. Pour some water into the press, swirl it around and then throw it out. This is to warm up the press so it maintains high temperatures while it brews. Spoon the grounds into the chamber (the amount is determined by your personal preference). Pour some water into the chamber to wet the grounds and let them bloom for 30 seconds to enhance flavor and prevent acidity. Throw water in according to the number of cups you need. Position the plunger to seal in the heat but don’t press down on the plunger yet. Let the grounds brew; This usually takes about five minutes but can be adjusted to your liking. When the brew is ready you push down on the plunger. Do this slowly to prevent grounds pushing past the filter. When done it’s best to decant the coffee immediately to prevent the grounds at the bottom affecting the taste and to ensure they don’t escape into the brew. Do you love espresso? Perhaps you think a French press isn’t for you then because you need advanced equipment to make the ultimate espresso brew. You’ll be surprised at what can come out of a French press. If you use the right beans, brewing time, water temperature and you let those grounds bloom you’ll love the result. If you want to get this right, read our article on how to make an espresso with the French Press. Let’s be honest here. No process that involves heat will ever by 100% safe. Limit the amount of movement necessary when the French press is filled with hot water. Can you work near the kettle or stove where the water boiled so you don’t risk messing it on yourself, the floor or someone else? Where will your French press become hot to the touch? Read reviews and manuals so you know where you can safely hold the unit when you press down the plunger or pour the coffee. Always work cautiously. The hot water can splash when you place the plunger inside and if you don’t have a well designed unit it will splash into your cup as well. Make sure no one gets burned. If you have a glass French press you need to be extra careful. Even those made from strong glass can crack or shatter in the dishwasher, when you slide the metal filter down or when it slips from your hand onto the floor. If you know your children love making coffee with you it may be a good idea to invest in a stainless steel model. Now don’t become paranoid. Safety guidelines are there to safeguard you and your experience. It can actually make you enjoy it more since you can have peace of mind. But have you decided whether this is the coffee making method for you? Perhaps you haven’t heard of an Aeropress?  Above we mentioned espresso making and this may be the better option if that’s your favorite drink. An Aeropress is designed especially to make strong brews thanks to the unique steeping process. The Aeropress’ design incorporates two tubes that fit into each other. You press down on them to force the brew into the cup, as if you’re using a huge syringe. This creates enough pressure to produce quality espresso. Since quality espresso making requires high pressure to force water through the grounds—this is how you get all the flavor out—and Aeropress is more appropriate for espresso brewing than a French press. An Aeropress only makes a cup at a time while you can make more in a French press. It’s harder to get strong brews in a French press. An Aeropress design allows you to take it anywhere while a French press is more bulky and can often break easily. There’s no clear winner; you need to decide what will work for you. If this is something you would consider we suggest you try the Aerobie Aeropress Coffee and Espresso maker. Aerobie uses durable plastic that’s BPA free so you can enjoy safe coffee brewing at high temperatures. All components can be removed for easy cleaning. You’ll have mostly plastic parts so there’s no risk of them breaking. This works for home and is popular for travellers. They can enjoy quality coffee anywhere because this is light enough to take with you. It’s also compact enough to fit into a suitcase with no risk of it breaking. So will you try out one of these French press models or are you happy with what your coffee tastes like at the moment? Are you more into DRIP Coffee or rather take the time and use a siphon to brew your coffee or maybe you want a combo coffee machine that can brew you coffee and espresso? Remember, each brewing method affects different oils and chemicals in the beans. Perhaps you’ll like the effect a French press has. You won’t know until you try.